The use of micro- and nanosilica or nanotubes leads to improvements in the compressive strength of high-performance concrete. Ultrasonication is an effective means for the mixing, wetting and dispersing of nanomaterials in cement or concrete. 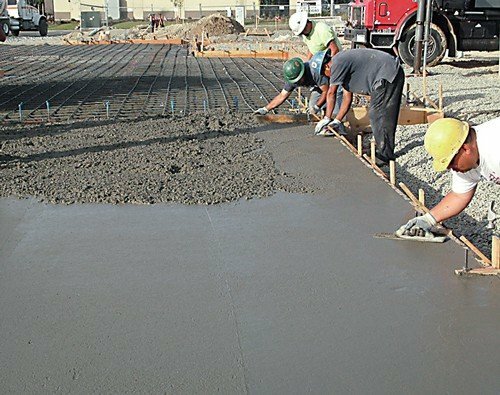 Micro silica is widely used in concrete today, leading to higher compressive strength or water and chemical resistant concretes. That can reduce material costs and energy usage. New nanomaterials, such as nano silica or nanotubes lead to further improvements in resistance and strength. Concrete is composed of cement, e.g. 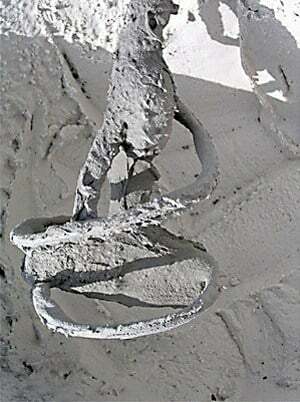 Portland cement and other cementitious materials, such as fly ash and slag cement, aggregate (gravel, limestone, granite, sand), water and chemical admixtures. Typical admixtures include accelerators or retarders, plasticizers, pigments, silica fume or High Reactivity Metakaolin (HRM). Micro silica is a typical admixture in concrete. Its disadvantage is its relatively high cost and contamination affecting operators’ health. When it comes to improvements in concrete properties, mixing technology is as important as concrete composition. 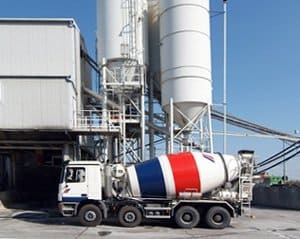 Mixing is an essential step in the production of uniform, high quality concrete. Although numerous guidelines and regulations, e.g. DIN EN 206 cover the composition of concrete and its components, the actual process of cement mixing and concrete mixing is left to the user. It is decisive, that water, cement and admixtures are evenly dispersed and distributed down to a fine scale and that agglomerates are sufficiently dispersed. Insufficient dispersing or deagglomeration results in inferior concrete properties. 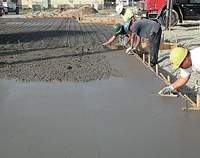 Due to the low water content and the high dosage of admixtures, the mixing of self-compacting concrete (SCC) and ultra high strength concrete (UHPC) requires a longer mixing time or a more effective mixing technology. During the hydration of the cement nanoscale hydration products, such as calcium hydrates form in the hardening concrete. Nano particles of silica or nanotubes turn into nano particles of cement during the solidification of the concrete. Smaller particles lead to shorter particle distance and a denser and less porous material. This increases the compressive strength and reduces the permeability. A major disadvantage of nanosize powder and materials, though, is the tendency to form agglomerates during wetting and mixing. Unless the individual particles are well dispersed, agglomeration reduces the exposed particle surface leading to inferior concrete properties. Click here to learn more about the benefits of ultrasonic mixing of cement pastes for precast, drycast and concrete plants. Ultrasonication is a very effective means for the mixing, dispersing and deagglomeration. The picture below shows a typical result of ultrasonic dispersing of fumed silica in water. Starting (green curve) at an agglomerate particle size of more than 200 micron (D50) most of the particles were reduced to less than 200 nanometers. Hielscher offers ultrasonic mixing devices for use in research and full scale processing. Hielscher ultrasonic laboratory devices are the perfect mixing tool for laboratory R&D. The lab devices are typically used for the ultrasonic mixing of small batches. Hielscher ultrasonic devices offer an accurate parameter control and excellent reproducibility for the preparation of the scale up. This makes it easy to mix different formulations and determine the impact of ultrasonication intensity and duration of sonication. The ultrasonic mixing equipment needed for scale up can be determined exactly based on the laboratory test. The table below shows general device recommendations depending on the batch volume or flow rate to be processed. Hielscher ultrasonic mixers are typically installed in-line. The material is pumped into the ultrasonic reactor vessel. There it is exposed to intense ultrasonic cavitation. Inline sonication eliminates by-passing as all particles pass the mixing chamber following a defined path. Therefore, ultrasonication typically shifts the particle size distribution curve rather than widening it. An ultrasonic mixing reactor consists of the flow cell and the sonotrode. No bearings are needed. 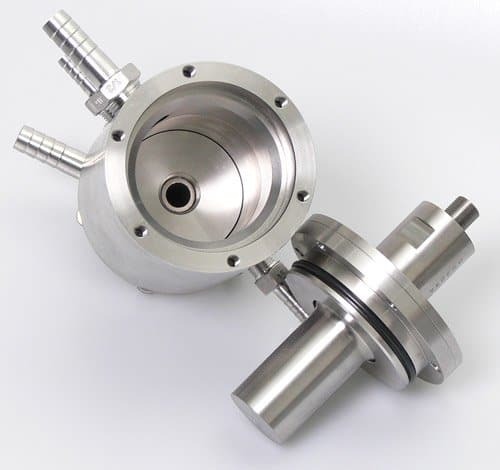 Flow cell reactors (stainless steel) are have simple geometries and can easily be disassembled and cleaned. There are no small orifices or hidden corners. The use of Hielscher ultrasonic devices in the preparation of cements and concretes is not limited to the mixing and dispersing of cement premixes or concretes. Ultrasound is a very effective means for the degassing of liquids and slurries. This reduces the number and volume of gas bubbles entrapped in the concrete after hardening. Ultrasonic sieving devices improve the throughput and quality of powder sieving for small particles. Hielscher offers ultrasonically agitated sieves for laboratory and industrial application. Request information on ultrasonic mixing!